It occurred to me last night at a wedding I was photographing that I rarely share low light reception images. I so enjoy the light show from DJ booths. It creates ridiculously rad reception images! This wedding took place at Special Occasions in Downtown Pensacola. DJ Zak Stefanko (DJ Krezy 8) put on a great show and knew how to keep the party going, playing hit after hit and using his lights to set the mood. It's no secret that I'm a natural light photographer and I LOVE to backlight and make bright/vibrant images, but I also get such a kick out of lighting a reception. 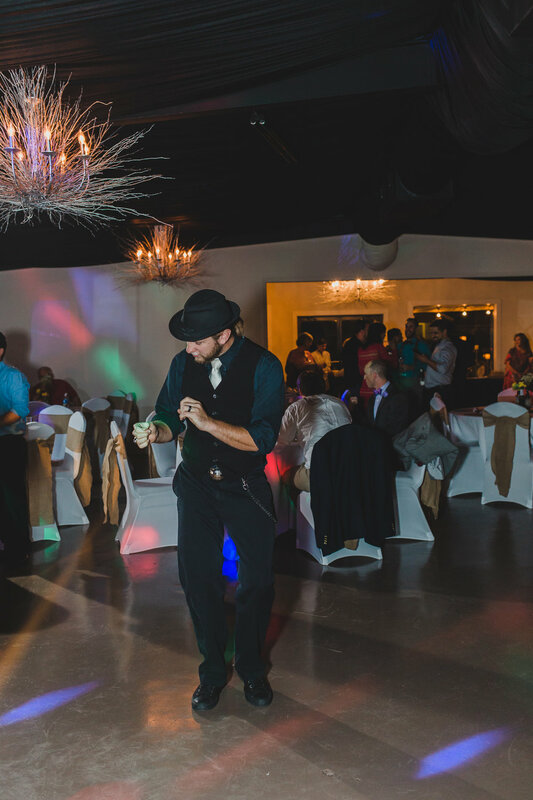 I'll avoid getting super technical here, but suffice to say that low light/flash photography is something that is quickly growing on me - for receptions! When combined with an awesome DJ that has a killer light setup, well the results are so fun! 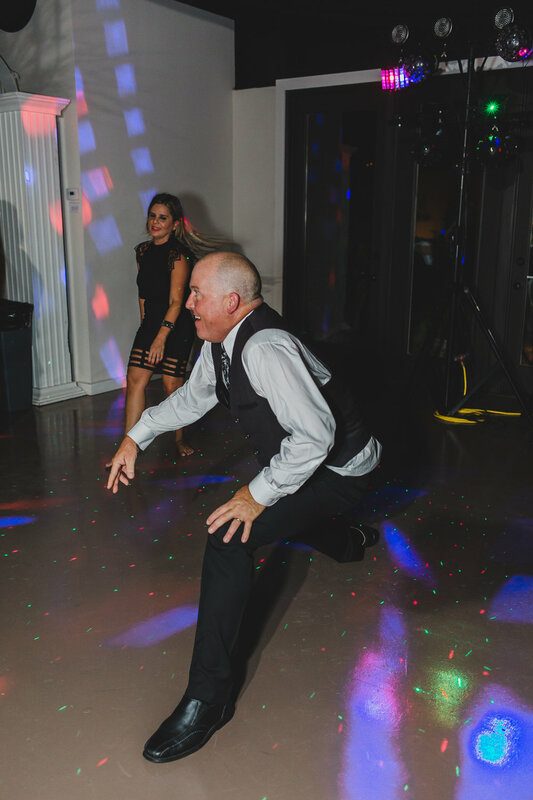 A good DJ is key because they can read the mood of the crowd in order to keep the party going and will connect with other vendors before announcing a huge moment! If the caterer and/or photographer are not prepared for a bouquet toss/cake cutting/toasts, the moment could totally be botched, or worse missed entirely! 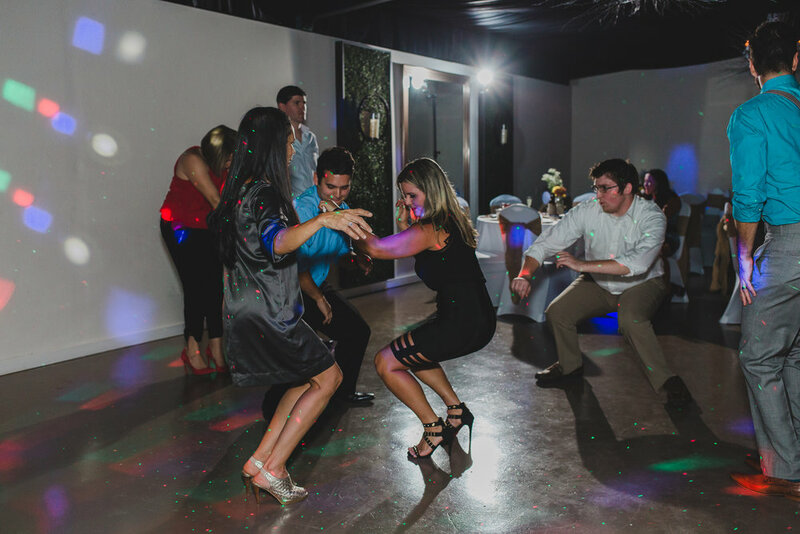 Communication between all vendors is key, so make sure you ask your DJ how they work with other vendors during the reception. This looks like a party - amiright?! There's probably a few places you can cut corners on a wedding, but your DJ (and photography ;)) shouldn't be one of them! See for yourself!